A six day holiday by air to St Helier in Jersey. We pick you up from your home and transfer you to Leeds Bradford Airport in time to catch the 11:00 flight directly to St Helier. You will be met by our representative who will accompany you to the Royal Hotel which is situated just a few minutes walk from the the famous Tax Free pedestrain shopping area. A day to relax, explore or shop. Our representative will gladly arrange excursions or car hire for you at discounted rates thoughought your holiday. We have arranged a full day coach tour which will collect you from your hotel and includes St. Aubin's bay, St. Brelade's Bay, Corbiere Lighthouse, St. Ouen's Bay, Greve de Lecq, the Northern Coastline, Gorey Harbour, return to St. Helier via the East Coast, La Rocque harbour and St. Clement's Bay. During the tour, we will be stopping for photographic opportunities and refreshments together with a visit to the Jersey Pearl Centre. The highlight of this tour will be a visit to the Living Legend's Jersey Experience and Craft & Village Centre - one of the Island's top tourist attractions. Completely free for you do do as you please, the island has a host of attractions, beaches if the weather is fine, famous duty free shopping or just relax in one of the publc areas in your luxury hotel. After a leisurely breakfast our representative will advise you of your early afternoon travel arrangements back to St Helier airport and onward flight to Leeds & bradford airport. There you will be met by one of our minibuses or taxis to transport you directly to your home. Welcome to Jersey - the most southerly Island of the British Isles. Located some 100 miles (160 kms) south of mainland Britain yet only 14 miles (22 kms) from the coast of France, Jersey provides the visitor with a kaleidoscope of sensory stimuli. Despite its small size - Jersey measures just nine miles by five (14 kms x 8 kms) -- all your senses are made to work overtime in this tiny Island. It might be thought that an area of 45 square miles (116 square kms) with a permanent population of over 87,000 would have little but buildings to explore. 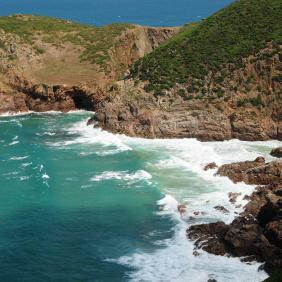 But approach the Island by air and you see lush valleys, well-kept fields and an unspoilt coastline. Arrive by sea and the rocky grandeur of La Corbière, the sweep of St Aubin's Bay and picturesque Elizabeth Castle set the scene for a grand encounter with a small but delightful island whose variety of scenery, wealth of history and sheer beauty compete with much larger and, perhaps, better-known destinations. Some 450 miles (720 kms) of roadway (comprising a mix of fast roads and small country lanes) create endless opportunities to explore and discover the unexpected and impressive. Jersey also has a network of over 46 miles (74 kms) of Green Lanes where a speed limit of 15 mph (24 kph) is imposed and priority is given to walkers, cyclists and horse riders. The sea dominates the landscape with views of the surrounding Atlantic Ocean accessible from virtually every point on the island. The coastline also offers infinite variety - majestic cliffs, exposed bays, sandy beaches and rocky coves are all immediately accessible by road or on foot and just a few minutes drive from any community. Due to Jersey's unique position in the Bay of St. Malo the island grows and shrinks twice a day as the tide ebbs and flows in excess of 40 ft (12 m) - one of the highest tidal ranges in the world. A busy town and most populous parish, St Helier is also the Island's capital and main shopping centre. Many streets still carry old French titles and many shop fronts still boast the names of their island founders. 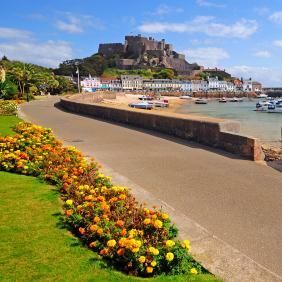 The town is named after the Island's first and most famous saint who lived and preached in Jersey in the 8th century. The Parish Church is worth a visit with its mix of architectural styles. The Island's parliament, one of the oldest assemblies in the Commonwealth, sits in the States Chamber in the Royal Square; The Central Market, full of fresh produce, meats, fish and flowers, which opened in 1882, is well worth a visit. For more ideas on what to see and do in town and around the Island, pop into the Visitor Centre in Liberation Square. This Parish is located on the south and west coast and includes the pretty harbour village of St Aubin. Home to some of the major German fortifications on Noirmont headland, this parish also has one of the Island's most popular beaches - the rather exotic palm-fringed St Brelade's Bay. The Parish Church, constructed during the 11th century and built from local granite, stands at the end of the bay. St Aubin's has its own navigable harbour. The main landmark of this parish is the Five Mile Road which isn't, in fact, five miles long but three. This is a dramatic stretch of road bordered on one side by the sweep of St Ouen's Bay and the Atlantic Coast, and on the other by what is arguably one of the finest sand dune systems in Europe. St Ouen is one of the largest and most interesting parishes and home to St Ouen's Manor and Grosnez Castle. This parish features lots of traditional farm architecture, particularly in the lanes around Rozel and St Catherine. Home to St Catherine is the Breakwater, a massive engineering feat, and Mont Orgueil Castle which was much loved by Sir Walter Raleigh whilst he was governor of the Island between 1600 and 1603. The harbour at Rozel is one of the most picturesque in the Island and there are three small coves Fliquet, La Coupe and Saie Harbour between St Catherine and Rozel. This is one of the most northern and smallest of Jersey's twelve parishes. Home of Devils Hole, this is cave and cliff path country. 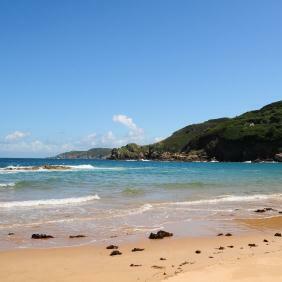 Greve de Lecq beach is well worth a visit - here you can watch the fishermen unload their catch and soak up the sun on one of the islander's favourite stretches of sand. The Elms is the headquarters of the National Trust for Jersey and is situated at the St Mary's end of St Peter's Valley. St John is a historical parish full of mystery. The Centre Stone of the Island lies here in the small village of Sion. Ronez and Sorel Point is where the North Road was built during the German occupation. Wolf's Caves is reached via a very steep and treacherous path. Home of the famous Jersey Wildlife Conservation Trust, Gerald Durrell's successful home for endangered species is located in the grounds of Les Augrès Manor. The Parish Church has one of the finest mural monuments on the Island, that of Sir Edouard de Carteret. Les Platons is the highest point in the Island at 453 feet (138 m) above sea level and houses the BBC Television Station. Bouley Bay hill is the venue for the National and International Hill Climbs. This parish features the burial place of Jersey's most famous daughters, Emilie Charlotte le Breton, or as she is better known Lillie Langtry. This is a large sprawling parish, housing much of St Helier's overspill. The residence of Jersey's Lieutenant Governor is located in St Saviour, close to the Parish Church. Government House was the third of the Island's residences for the Governor, the first and second being Mont Orgueil and Elizabeth Castles. Nestling in the south east tip, Grouville is the home of oyster beds, Gorey Fete, Queen's Valley Reservoir and La Hougue Bie. The picturesque old village of Gorey, which straddles the boundary between St Martin and Grouville is here, home of many fine seafood restaurants and the Royal Bay of Grouville, the prefix Royal being added in 1859 by command of Queen Victoria. La Hougue Bie, a Neolithic burial chamber, is one of the best preserved in Europe. 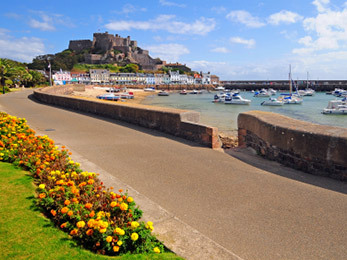 This south east coast parish has the most bizarre sea front in Jersey. Moonscape beach they call it, referring to the rocks which jut out to sea for some two miles (3 kms) when the tide goes out. Visitors have been stranded here so beware and don't walk out too far as the incoming tide can surround you before you know it. Green Island, a prehistoric site, lies about 274 metres from the shore. St Lawrence is mostly an inland parish made up of farms and farmland and its seaboard is small. It is home to the Jersey War Tunnels (dug out of solid rock), Le Rât Cottage (a magnificent example of a 17th century Jersey cottage) and Hamptonne, Jersey's countrylife museum, consisting of a collection of historic houses and dwellings which have been restored to their former glory.